Under Armour’s newest basketball shoe from the Stephen Curry line, the Curry 4 has now arrived in the Philippines! With only 200 pairs available in this initial release, the Curry 4 model is now available in the Philippines through the Under Armour Brand Houses and various multi-brand stores. To know more about Curry 4, read on the official press release below. The Curry 4 is all about more – Stephen’s insatiable desire to win more, to play more and to achieve more. The shoe was designed from the ground up with one thing in mind – to help Stephen get more, from the first ideation conversations to sketches, to design iterations and beyond. 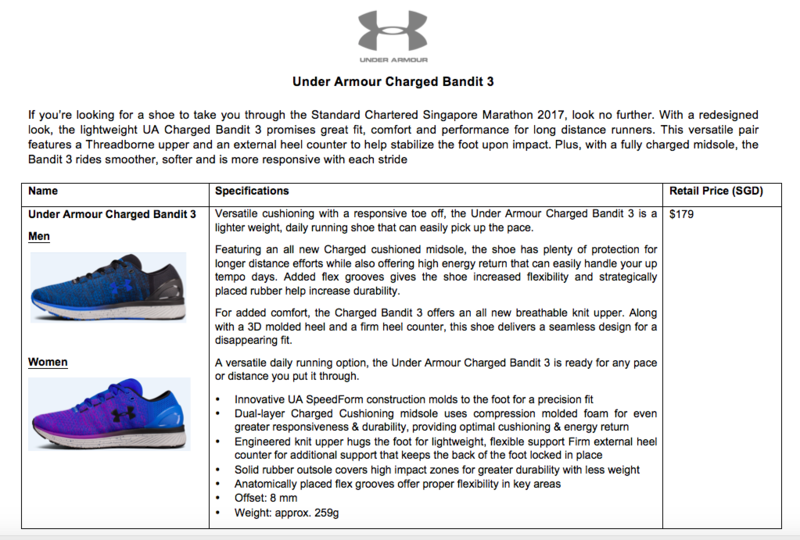 Under Armour has recently released the newest iteration of their Charged Bandit running shoe line – Bandit 3 and it surely is set to steal a runner’s heart away! 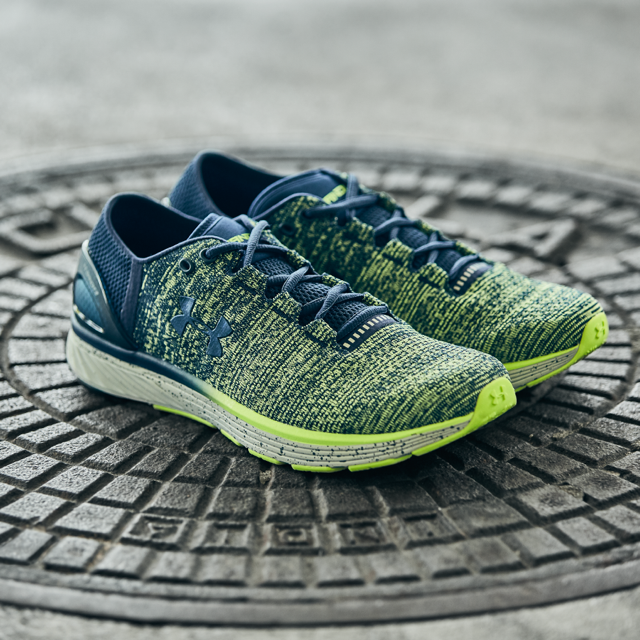 Designed to be “street ready”, it not only boasts of its ability to satisfy a runner’s need for a great performance shoe, it is also stylish enough to be an everyday shoe. Thanks to the people of Under Armour Philippines, I got the chance to get first dibs on a pair of Bandit 3! I also have the first two generations of the Bandit shoes and I believe that this third iteration is the best Bandit shoe so far! From left to right: Charged Bandit 1, Bandit 3 and Bandit 2.
there is enough cushioning on the heel, making the back of my feet fit securely in place – oh and I love that the heel counter has this small cushion that is like a pillow that wraps around my heel. so comfy! For minimalists, it is good to note that this shoe has lessened the heel-toe drop from 10mm to 8mm. The charged cushioning feature of the Bandit 2 is still present in this iteration – great news for “neutral runners” who wants not only a lightweight shoe but one with responsive feedback as well. Want more? Check out the Bandit 3 Factsheet HERE. I love my Bandit 3 pair! Thanks Under Armour! The Under Armour has definitely redefined the word “bandit” in a positive way. I enjoyed using the Bandit 3 – whether from running a short 5km or just simply walking. And I am truly excited to find out what more this pair can deliver for me, as I continue using it. 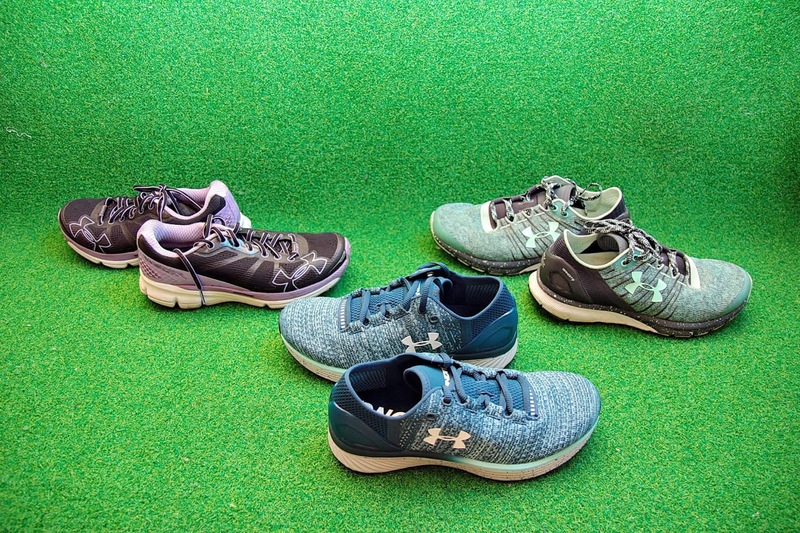 Under Armour (NYSEA: UA, UAA) has taken the running scene by storm, and their newest asset is no exception. Bandit 3 is the newest addition to the brand’s renewed running offering which this year has included: the most recent evolution of Gemini with its 3rd iteration, the new UA Velocity ultralightweight running shoe and UA Europa, the first-ever running “control” shoe from the Baltimore based brand. The Bandit 3 is the third instalment of their Bandit series, and it is a shoe designed to be “street ready”. 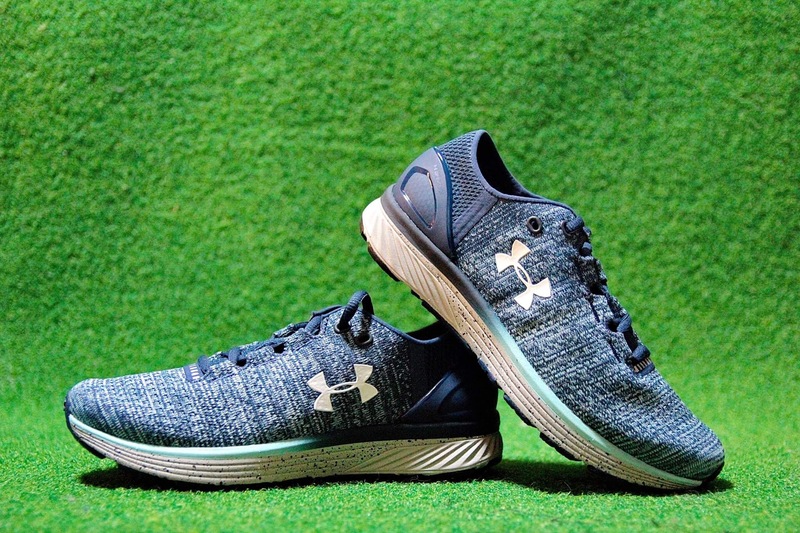 It provides a versatile, lightweight style that accompanies its Charged Cushioning technology, which absorbs impact and returns explosive energy, giving the runner a comfortable run. The new Bandit 3, a shoe for great design and even better performance, has a seamless heel cup that moulds the foot for a perfect fit, eliminating all distraction and making the shoe feel like an extension of your feet.Its knit upper feels perfect and flexes as you move, which makes it a great shoe for long-distance runs. University of Cebu’s John Bryl Cuyos and Virlou Orquez earned a trip to Seoul for the Stephen Curry Asia Tour after winning the Under Armour 3×3 Under-18 Philippines title recently. Cuyos and Orquez got the chance to see the top Under Armour ambassador in person in Seoul last month for the final stop of his Asia tour. The two were members of the victorious UC squad that captured the Under Armour 3×3 Southeast Asia Cebu crown and the Under Armour 3×3 Southeast Asia Philippines title in Manila.The two cagers travelled and met Curry at the Jungchang Gymnasium in Seoul. The trip, the expenses of which were all paid by Under Armour Southeast Asia, gave them a chance to interact and play with the NBA champion. The UC squad overcame tough odds against teams from various parts of the Philippines to capture the two titles that will not be possible without the support of coach Joever Samonte and Atty. Estenso. Cuyos and Orquez also showed they have what it takes to be among the best players in the country. The 17-year-old Cuyos has an impressive resume that includes being a two-time Cesafi All-Star, a two-time Cesafi runner-up, and a two-time runner-up in the Cebu City Olympics. He is also a Mandaue City Olympics Cebu Inter-High School, Cordua 1st Mayors’ Cup, and WJC 1st Cup champion. Orquez, 18, was a former member of the Holy Trinity High School in Alberta, Canada where he was an Edmonton Journal All-Star. In the Philippines, he helped UC win the Mandaue City Olympics Cebu Inter-High School champion.UC defeated University of Visayas, 15-14, in the heartstopping final in the Cebu tournament before flying in to Manila to also make a big impression as the Webmasters beat Bounty A also in pulsating fashion, 21-20, in the final.Curry’s visit in Asia comes with the launch of Curry3Zero, the latest Under Armour shoeline for the NBA superstar. In the Philippines, the Curry3Zero was also launched with the who’s who of sports and entertainment industry that included Alaska Aces point guard Chris Banchero, Barangay Ginebra forward Jervy Cruz, San Beda standout Robert Bolick, actor JC De Verea, Letran star Rey Nambatac, Ms. Earth 2015 Angelica Gabrena Ong, coach Christian Luanzon, and UA’s newest ambassador Kali Huff. As part of the festivities, Under Armour also treated the media with a unique basketball experience of playing 3×3 basketball, and competing in a three-point shootout. One month to go until “The Mercenary” AJ Matthews’ return to the Bellator 181 cage! It’s a little over one month before Fil-American AJ ‘The Mercenary’ Matthews is set for action as part of Bellator 181 fight line-up this July. One of the up-and-coming international fighters, Matthews has been preparing hard for his next fight which is set to happen on the 14th of July at the WinStar World Casino in Thackerville, Oklahoma. He has been seen devoting most of his waking hours into training and building relationships with his fellow Filipino Fighters both local and international. The role of Matthews as professional striking coach of ONE Championship heavyweight champion Brandon Vera and several other UFC champions have also helped him in his preparation for his fight. Matthews fight records include impressive victories such as a first-round technical knockout over Kyle Bolt at Bellator 131 in 2014, and a knockout win over Charlie Rader at Bellator 70 in 2012. The 29-year-old has also been a pride of his fellow Filipino fighters as he has recently based himself now in Philippines with his team MMA Alliance. Matthews, whose mother traces her roots in Tacloban, has been embraced by his Filipino fans with open arms with his humility and charm. Matthews recently appeared in the Test of Will Challenge and the National Test of Will Finals in the Philippines. During the event that was participated in by several athletes and celebrities, Matthews and ONE Championship fighter Mark Striegl competed against each other to test their abilities. 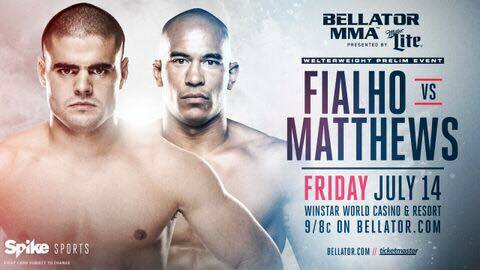 Aj Matthews fight will be against Andre Fialho under the welterweight division.